Jamie O'Connor at a set-net operation on Ekuk Beach. The Alaska Marine Conservation Council and the Alaska Young Fishermen’s Network are welcoming their inaugural class of young fishing fellows. The non-profits created the fellowship to support the next generation of fishing leaders by providing mentorship, support and hands-on learning through fisheries-related projects. Current Homer resident Jamie O’Connor is one of the five people chosen for the fellowship. 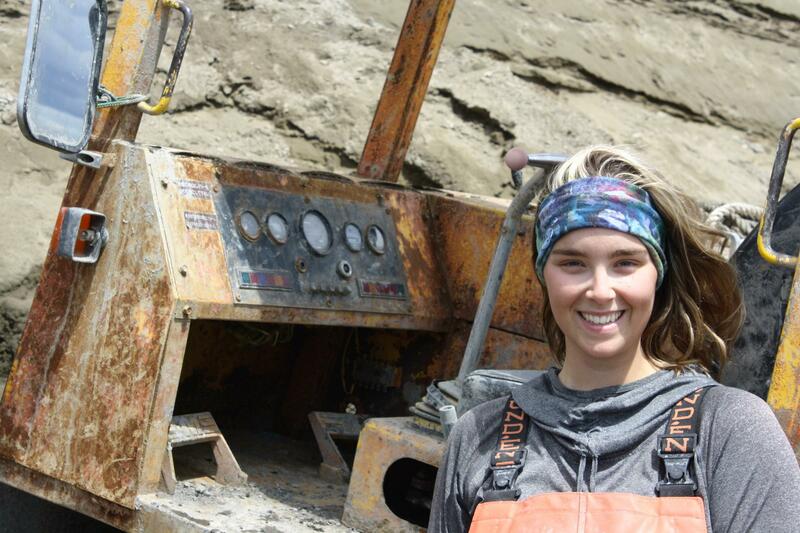 O’Connor is a fifth generation fisherman from Dillingham. She grew up hearing a lot of misconceptions about her profession. “I think fishermen have always had a reputation for being cranky and salty,” she said. The twenty-seven-year-old has seized the fellowship as an opportunity to combat stereotypes by telling stories of Homer’s fishermen. O’Connor doesn't know exactly how she is going to present those stories, but she does know she would like to share them with the Homer City Council in early February. O’Connor will be teaming up with the North Pacific Fisheries Association, which helps protect commercial fisheries and is a source of information for fishermen. Each fellow is paired up with an organization to help them gain experience and to benefit a local organization. Association President Malcolm Milne said he is excited for area residents to discover more about Homer’s fishing community. “You sort of end up in your own little circle of experiences or you know, the sort of people that you know, and then to try to go beyond that is sometimes a little bit of a challenge to communicate what you're doing and what your sphere has to offer to the community as a whole,” he said. O’Connor won’t just be telling fish stories. She will also be figuring out how the association can move forward. “She's sort of taking a look at who we are right now as an organization, doing a survey of our membership to see what fisheries we participate in and who we actually represent. Then we're going to be taking a look at our past and where we came from and then look toward the future and where we want to go," Milne said. As part of the fellowship, O’Connor will also learn about the regulatory process for both state and federal fisheries. Association board member and commercial fisherman Matt Hakala said it’s important to pull young people like O’Connor into the process. O’Connor says the knowledge she gains will help her sustain the environment in the long term.